Radiographs demonstrate several areas of soft tissue sweeling. Osseous erosions centered along extra-articular portions of the bones are also seen. 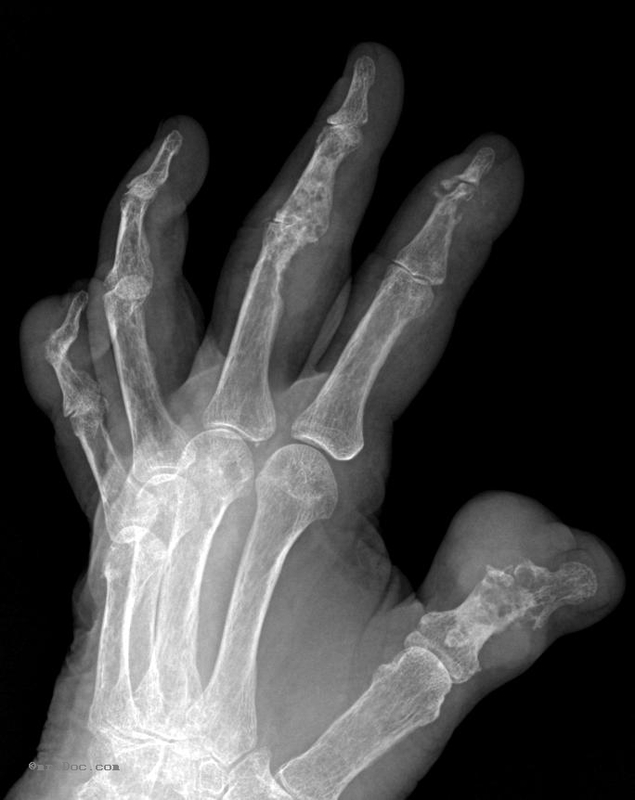 Osseous erosions in rheumatoid, psoriatic and other inflammatory arthritides demonstrate distribution different from gout.